We’ve been really looking forward to watching the Asturias episode of BBC’s ‘Escape to the Continent’ since we helped the production team with filming last October. Yesterday our long wait came to an end and we have to say it was worth the wait. If you haven’t seen it already then check it out on BBC iplayer. 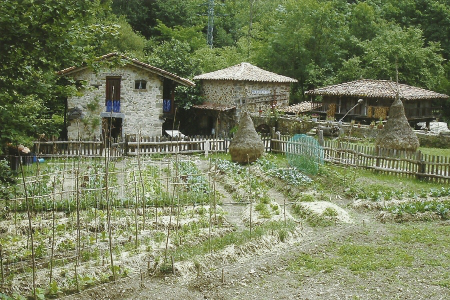 If you don’t know Asturias very well then it’s an excellent, highly visual introduction to the region as well as to the Asturian property market. If you’re already a fan of the area then you can just sit back and enjoy the spectacular scenery whilst keeping a beady eye out for places and people you recognize! If you want to know more about the water mill for sale near Sevares then click here. And if you’re hankering after those spectacular views of the Picos de Europa mountains that you got from the glass-fronted galeria of the house in Cabranes then*Update* This property has now sold! * Or if you’d like to find out more about any aspect of buying property in Asturias or the realities of life as an ex-pat here then do feel free to get in touch. We’re always happy to help!